Singapore: Dr Hans J. Langer, Executive Chairman of the EOS Group and founder of EOS, the world’s leading technology supplier in the field of Industrial 3D Printing of metals and polymers, has been inducted into TCT Group’s Hall of Fame, following the publication’s inaugural TCT Awards, held at Birmingham Town Hall. A panel of independent experts, analysts, journalists, and academics selected the nominees, for the first time, with a public vote determining the eventual inductees. The Hall of Fame recognises individuals who have made a significant impact in either inventing or developing 3D printing technologies since their inception a little over 30 years ago. Dr Hans J. Langer founded EOS in 1989, after a successful start in the laser industry. The company has since become one of the leading innovators in the space, spanning both polymer and metal industrial 3D printing processes. Dr Langer is also active in the leadership of a portfolio of more than 10 companies, and has been instrumental in driving developments across technologies, including pioneering metal laser melting and additive manufacturing. Since the late 1980’s, Mr Langer has been at the forefront of the 3D printing industry, continuing to innovate as this technology becomes more mainstream. It was recently announced that he will stay on as Executive Chairman of the EOS Group, following Dr Adrian Keppler’s appointment as CEO of EOS. Dr Langer’s focus will be on the direction of the EOS Group as whole, managing the strategic expansion and development of its global operations. 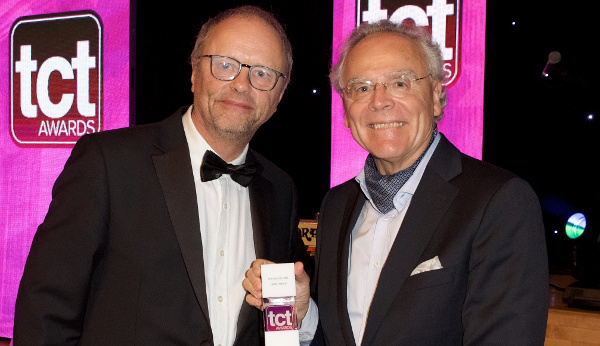 Commenting on his induction, Langer explains the gravitas of this award: “It is an honour to be recognised as one of the leaders in 3D printing, and I am delighted to be inducted into TCT Group’s Hall of Fame.